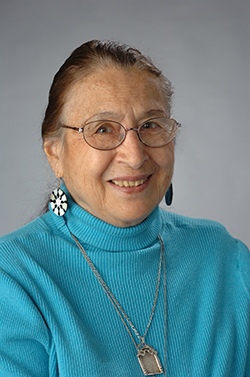 The Jack Reilly Institute for Early Childhood and Provider Education at Syracuse University and its Department of Child and Family Studies, along with Child Care Solutions, will present the Ninth Annual Jack Reilly Distinguished Lecture, featuring Alice Sterling Honig. The event is free and open to the public, and will be held on Thursday, May 21, at 7 p.m. at Peck Hall, 601 E. Genesee St., Syracuse. In addition to hearing Honig’s presentation, titled, “The emotional life of babies: What we need to know to promote secure attachment,” this annual event presents an opportunity to ask questions and to network with parents, providers and educators. The program qualifies for one NYSOCFS training hour. Honig has done extensive research and written books and articles on infants and toddlers, language development, child-care practices, preschooler social development, fathering and the effects of divorce on children. She teaches workshops for caregivers of infants and toddlers, and she has lectured widely. Honig is a licensed psychologist and a fellow of both the American Psychological Association and the Society for Research in Child Development. In April, 2015, Honig’s book “Best for Babies” was named a Silver Award Winner by the National Parenting Publications Awards (NAPPA). The Jack Reilly Distinguished Lecture Series in Infant & Toddler Caregiving was launched in 2007 thanks to the support of alumnus John D. Reilly III ’69, G’70 and his wife, Patricia M. Reilly. The Jack Reilly Distinguished Lecture Series is part of the Jack Reilly Institute for Early Childhood and Provider Education, which the Reillys established in perpetuity in honor of their son Jack (John D. Reilly IV). For more information, call the Department of Child and Family Studies at 315-443-1715.